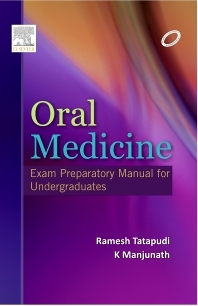 This book covers all the essential concepts of oral medicine in a question and answer format which gives a better insight for students towards the subject and help them to write well-structured answers in examinations. Covers all the oral diseases and oral lesions as per the BDS undergraduate syllabus. Written in a simple, well-structured, point wise format with a comprehensive exam-oriented description of oral diseases. Includes current concepts in all the chapters. Written by well-known, renowned contributors to add a broader scope of knowledge. Includes a list of must know questions at the end of every chapter.